Why do people pick ON SWIFT so much? How many parts are there to an air brake system? @ Phox__ and Kurt G. Yes I'm also studying from High Road Training Program and it was advised that I know the basic concept for the written exam also I should know the different parts for the PTI exam. That's why I am making flash cards to help me remember as well as learn it with ease. I do apologize for not catching on as quickly as the masses, however, my question is the same as the above subject header.I am studing the Ga CDL manual and in the manual I'm up to (section 5: Air brakes) Section 5.1 The Parts of an Air Brake System. Listed Air compressor -Air compressor governor -Air storage tank -Air tank drains - Alcohol evaporator -Safety valve -The brake pedal -Foundation brakes. Now do I need to go further down to 5.1.16 Antilock Braking System and stop to complete the list of parts of an air brake system? Or stop at Foundation brakes? Please help I'm making flash cards to help me remember. Truely apologize for being ignoring. 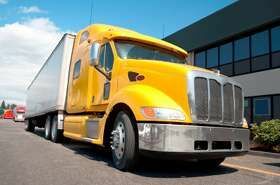 I'm considering a career in trucking possible living the lifestyle and health is an issue; so just one question. Where would someone store a bike? Just curious. What's different exactly? It looks the same as on this page, but maybe I missed something. GVWR is not represented. We are driving tractor trailers, requiring a class A CDL. We always deal in combination weights so it's really not required. Ok okay G-Town thanks. I'm studying the GA CDL manual and it had an extra. 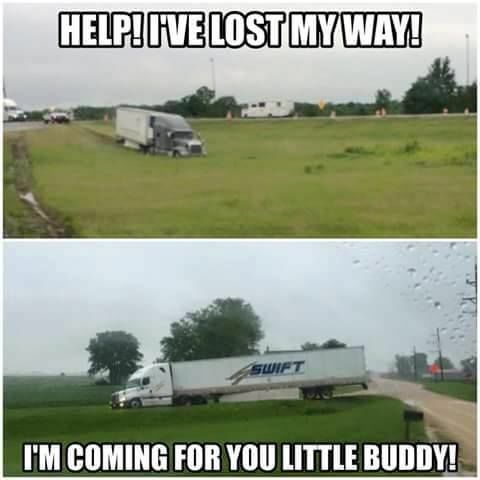 and btw hopefully swift or any other trucking company with training will except me in their training program. That's the only way I can get my CDL and a job. OH wait I see now its the same it just GVWR been printed twice. OOPS! please delete post. 1.Gross Vehicle Weight (GVW). The total weight of a single vehicle plus its load. 2.Gross Combination Weight (GCW). The total weight of a powered unit, plus trailer(s), plus the cargo. 3.Gross Vehicle Weight Rating (GVWR). The maximum GVW specified by the manufacturer for a single vehicle plus its load. 4.Gross Combination Weight Rating (GCWR). The maximum GCW specified by the manufacturer for a specific combination of vehicles plus its load. 5.Axle Weight. The weight transmitted to the ground by one axle or one set of axles. 6.Tire Load. The maximum safe weight a tire can carry at a specified pressure. This rating is stated on the side of each tire. 7.Suspension Systems. Suspension systems have a manufacturer's weight capacity rating. 8.Coupling Device Capacity. Coupling devices are rated for the maximum weight they can pull and/or carry. Could this be incorrect? TT have it different. Follow Me to CDL School! In Georgia, we have what is known as the HOPE Grant. It helped fund some of the cost of the program. The school is also provided money from the government to help lower the cost of tuition. The approximate cost is $1,200-$1,300, and I paid $839 out of pocket. Most starter companies have tuition reimbursement up to $6,000, so I should not have a problem getting my money back. I spent an additional $32 on books. They included an hours of service book, two log books, and a road atlas. The main book for the class ($50) was provided by the school. They have copies in the class paid for by trucking companies. They lend them out, and we turn them back in at the end of the 8 weeks. At the end of the class, I had to pay $50 for my road test. It was given by a third party tester. He is a retired CDL teacher from the school. I chose this program for a couple of reasons. The main reason was because it allowed me to keep my full time job while going to school. It also allowed me to keep my job options open after graduation. On the first day of class, I went in and noticed only one other student. AWESOME! It was only me and him for the whole 8 weeks. I had my own truck the whole time and ended up with 526 miles and 16.5 hours OTR behind the wheel. There where some days I was able to be OTR behind the wheel for 2-3 hours at a time. During my class, we went over the basic pre-trip, maneuvers, and road driving. One thing that really helped me out was I had the chance to do a full pre-trip on the truck everyday for 8 weeks. There where some days later on in the program that we just did a shorter version. We also learned log books and trip planning during my class. I have heard some other students in various programs say they were not taught this. It was a great experience and I am very happy with the choice I made. I understand everybody's situation is different. I encourage you to do your research and find out which route is best for you. There are many different options for schooling out there. I am sure I have left out some information here so if you have questions please feel free to ask. I am always glad to help. I just look this school up online. Man it's just the school I'm looking for but one thing; to far from me. do you know of another one like this? Anyone with experience in Private schools in GA? Online info is cluttered with random info. It would be nice to have some personal insight form people that went through one. Thanks for the time in advance. I went to Georgia Northwestern Technical College. I just look this school up online and I would like to attend; only one thing, it's in Rome GA and I'm in Downtown Atlanta.. Do anybody know of a school like this one. the requirement is very simple; that just up my ally. I'm in swift school. They test very hard on pre trip. I need an way that I can learn very fast on this. Here is a link maybe this will help also.